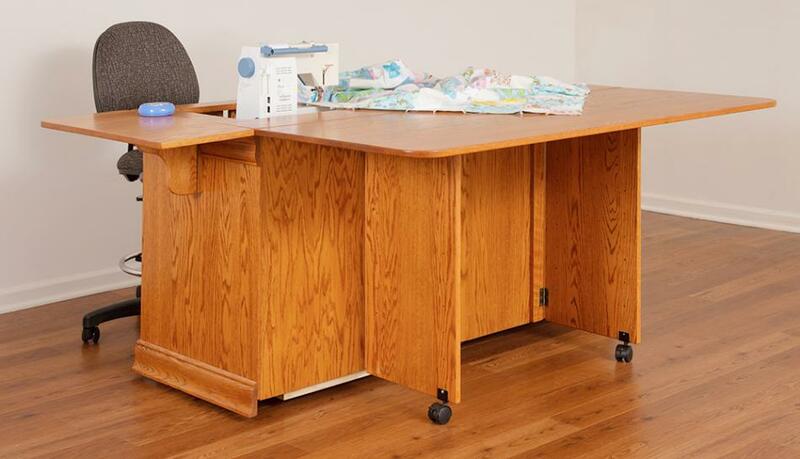 The Single Pedestal (Model 100) makes a perfect sewing desk for those who sew but need a compact work space and storage area. 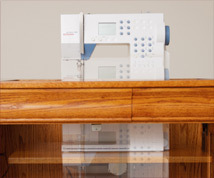 This sewing cabinet is made for a machine no longer than 18”. 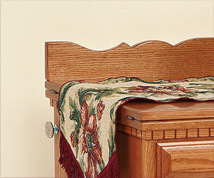 It has innovative doors that swing inward to open the knee hole while you are sewing. The doors close to conceal the machine after you are finished using it. The Single Pedestal has two wings, one approximately two feet wide on the left side and one a little over a foot wide on the right side. When the sewing cabinet is closed, these wings come together to cover the sewing machine hole. When open, the wings provide extra table space. 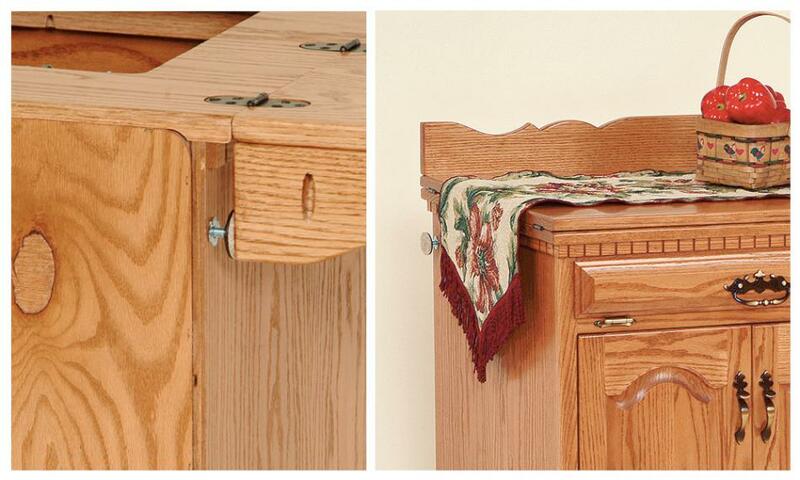 Order your sewing cabinet with the backsplash to give the wings sturdy support. How can you use the extra space the wings give? A seamstress usually has extra pieces of material waiting to be sewed onto the project. These can be stacked on the left wing. You can keep your pin cushion, scissors, and other sewing notions handy on the right side. 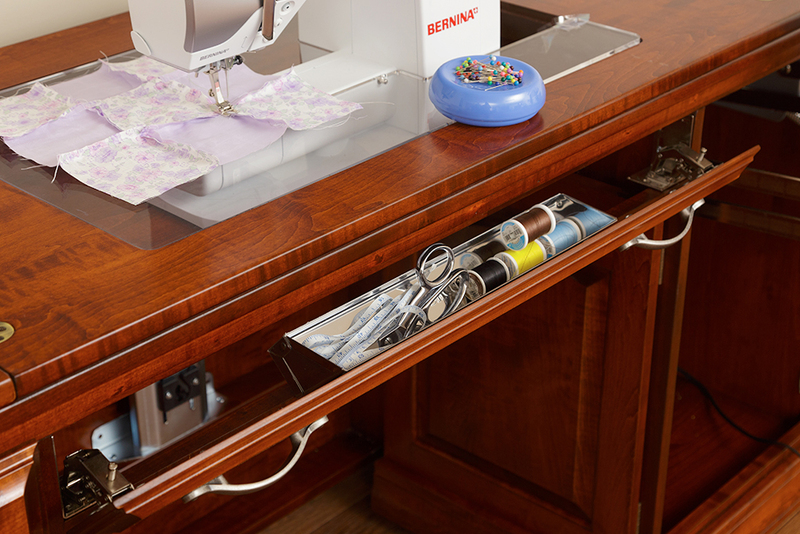 If you don’t have the money to spend on a sewing machine cabinet for your serger, you could set the serger on the wing while sewing. However, you will need to find another place to store it since the Single Pedestal only has storage space for one machine. This sewing machine desk has a single pedestal of drawers. 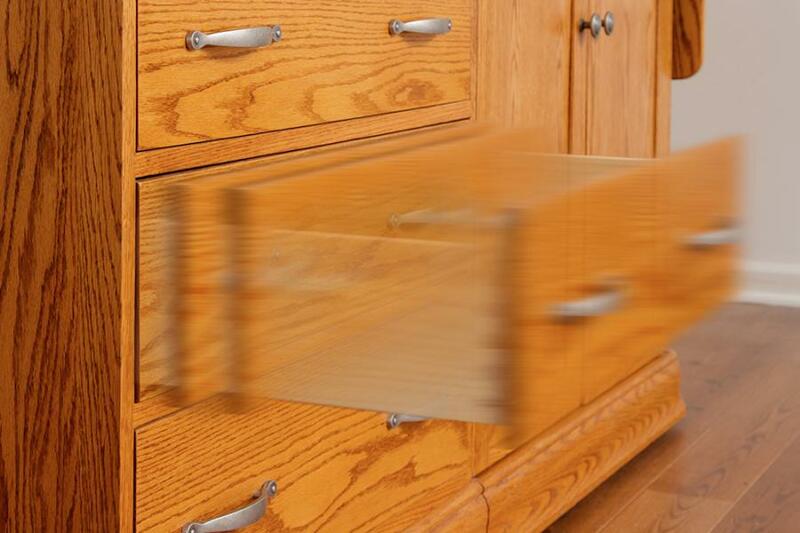 The drawers are approximately 7 ¾” wide by 18 ¼” long. 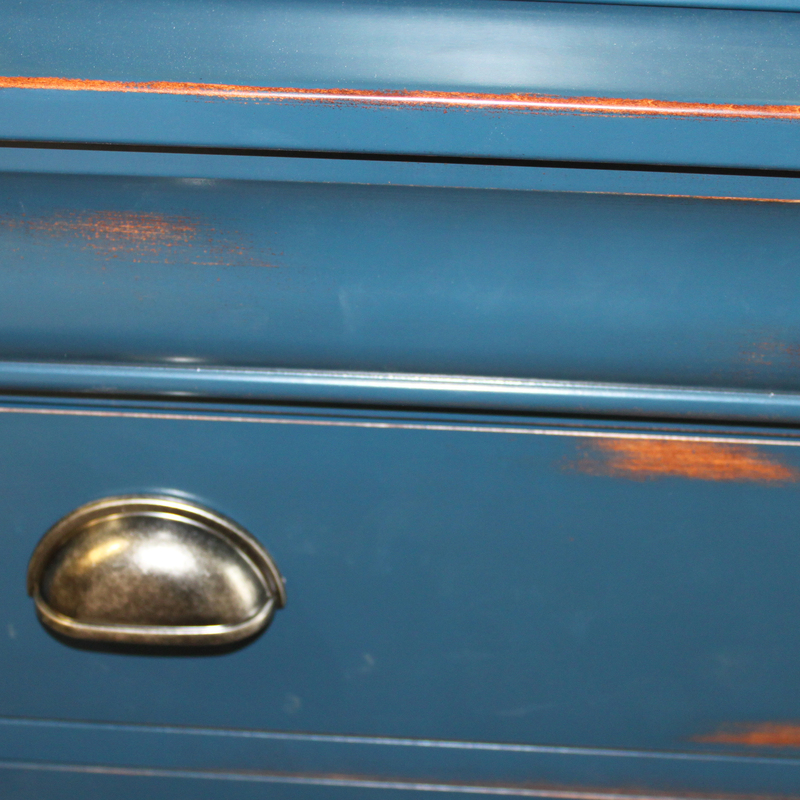 The depths of the drawers vary depending on the client’s preferences. The top drawer pictured is 3” deep, the middle drawers are 4 ¼” deep, and the bottom drawer is 6” deep. 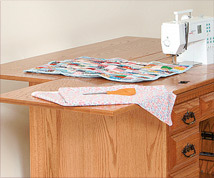 Store your thread, lace, buttons, patterns, and scraps close by your sewing machine. 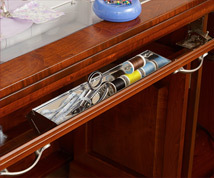 The tip out tray in the front provides a neat little storage caddy for small sewing items. Hopefully you won’t lose your rippers and marking pens if they are stored directly in front of you! 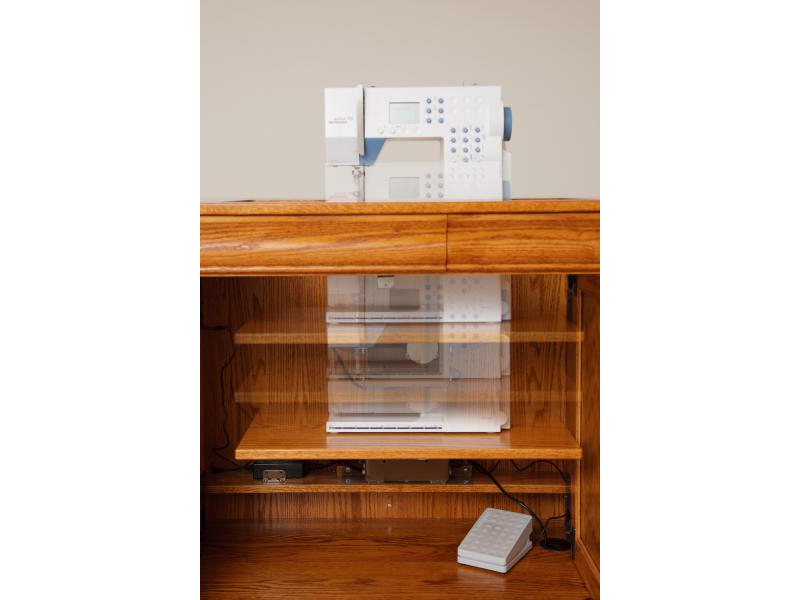 If you are looking for a sewing machine cabinet for sale, you have come to the right place. Gristmill Collections will be happy to serve you. 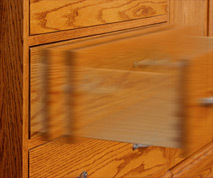 We also build custom sewing cabinets.